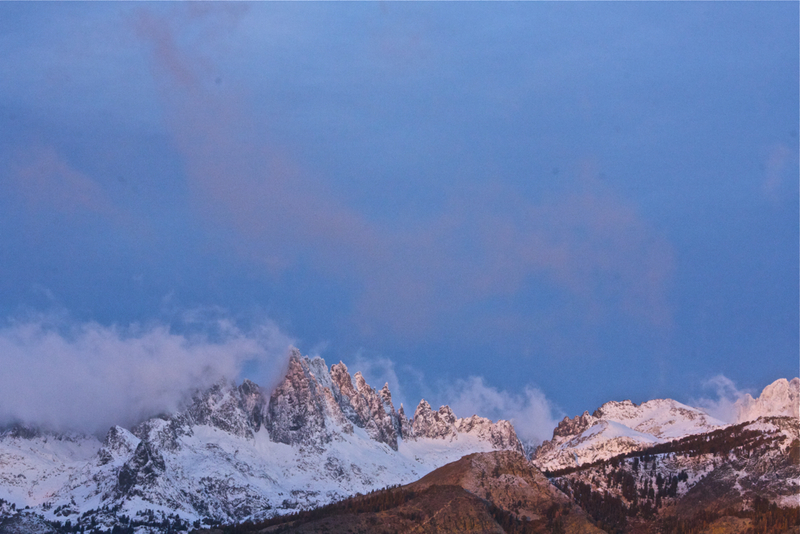 By morning the storm clouds have dispersed and fresh snow on the surrounding peaks reflects the rising sun. We drive into Mammoth for breakfast waiting for the temperatures to rise as the sun ascends. Our journey is nearing it's end so we drag our feet and spend a bit more time bouldering on some volcanic tuff amongst towering Jeffrey pines before packing up for one last time. The snow from last night has caused rockfall closing the road ahead. A couple short hours separate us from our journey's end, yet we are necessarily waiting. We sit stranded behind a locked gate. Impatient we hope to make it over the pass today, yet we awe at the glistening peaks above us, the new fallen snow and rime reflecting the afternoon sun. 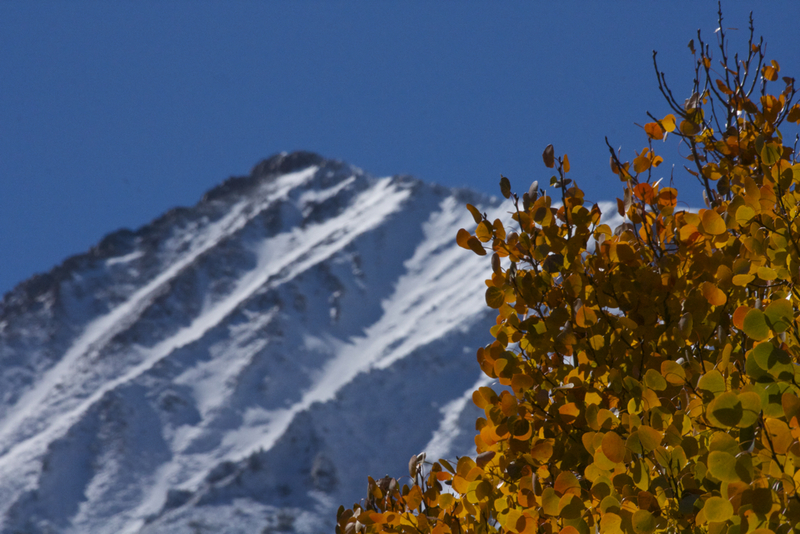 Along the road where we are parked, crimson and gold aspen quake in the light breeze. We silently contemplate the last few weeks, the last few months, the last year. Immersed in beauty and experience, we have watched our children grow. We have grown ourselves. It has been a long journey, one that has enriched our lives with invaluable memories. We have learned to appreciate the changing of the seasons and the rising and setting of the sun each day. We have seen leaves change color and then fall, we have heard elk bugling and rivers cascading. We have tasted locally brewed ale and felt coarse granite with our fingertips. We have tried to be present and experience the uniqueness and opportunity of each day. Yet we have also been reminded of what else lies beyond. We wake with new dreams, content with the adventures of yesterday, yet eager to embark on the adventures in our everyday lives. Tomorrow this journey will end. Another will begin.